We provide live-in sitting in Chessington, Ewell and Epsom. We find that the majority of dogs can get stressed by both their owners and themselves going away from home. We have discovered that dogs are more comfortable and at ease in their home environment and their routine is kept the same. Our dog live-in sitting service is carried out by a designated live-in specialist as we feel this is a very personal service and your home is treated with the utmost of respect. The live-in sitter simply move into your home whilst you are away. During our live-in sitting service noises and walks are the same meaning your dog will be less stressed as everything is familiar to them. 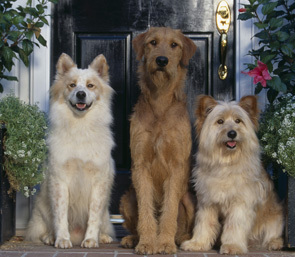 Our dog live-in sitting service is ideal you have lots of pets, a nervous pet or an older pet. We provide a like for like service with minimal disruption to your pet’s routine. Your home will be clean and tidy upon your return. We provide our own food and toiletries, the only thing we ask for is fresh bedding (where possible). Your home will also be safe and secure during our dog live-in sitting service for your return home and it is never left unattended over night.